Can supply two 5009s simultaneously. Input: 4.5V to 6.5 volt for charging. Run from 6.0Vdc supply and use for back-up power. Can run one 5009 for two hours with both outputs on. Same size and mounting as 5008 and 5009 for convenient stacking options. Works with all Valon RF products. All cables and lithium ion polymer battery are included. The Valon UPS6V-2 is a companion battery module for the 5009 Dual Frequency Synthesizer module. It can be mounted side by side as shown, or conveniently stacked with spacers. The mounting holes for all our products are in the same location. The UPS6V-2 can also remain connected to the dc power source to keep the battery charged and power a synthesizer. If the ac power is interrupted or disconnected, the UPS6V-2 boost converter will automatically turn on and supply the correct power to the synthesizer. Why Buy Our Battery Supply? Valon frequency synthesizers are compact, low-power, and rugged signal sources. However, you may need to operate a signal source remotely where no convenient power source is available. 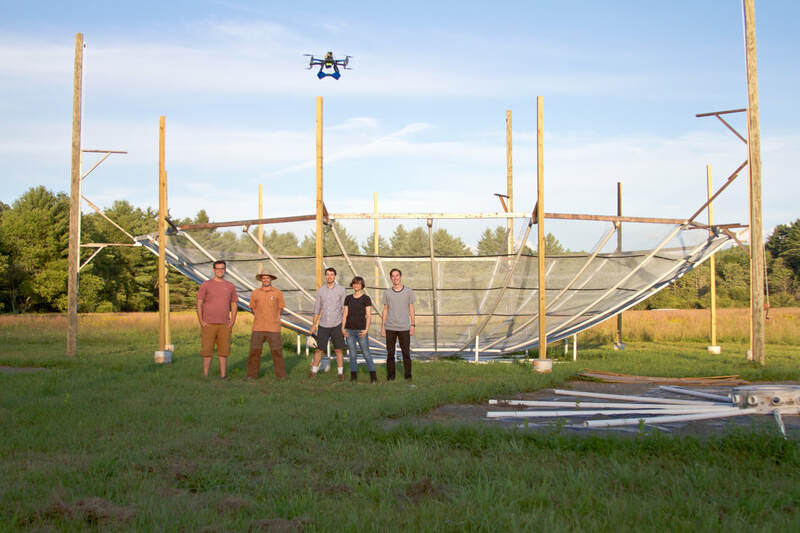 Our synthesizer modules have been used to characterize large antenna arrays by flying the synthesizer module over the target area in a drone. Our synthesizer modules have also been used to characterize terrestrial antenna arrays where it is the source is in the far-field at a distance from the control site and set up may require long cables and additional calibration steps. Running one of our Valon frequency synthesizer modules on battery power is an ideal solution. It is quick to set up and convenient to use. If you use a USB battery bank, they will only supply a poorlyregulated and noisy 5.0V output. Our Valon synthesizers work best with a clean 6V supply.